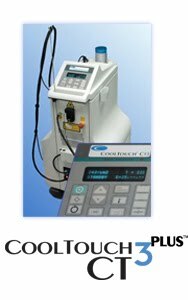 Dr. Katz has developed his own technique with this laser to improve the success of treatments. There are many variables in your treatment. The fungus is destroyed by heat and also by exposure to mid-infrared light. When settings are optimized this light causes inactivation of the genetics or DNA of the fungus. Dr. Katz has developed his own unique treatment protocol, to take advantage of this fungus inactivation, adding great benefit for the patient. Dr. Katz Discusses Laser Toenail Fungus on FOX 13!